What else would you expect from Vikings! ERIC Thorgrimursson (nicknamed 'Brighteyes' for his most notable trait), strives to win the hand of his beloved, Gudruda the Fair. 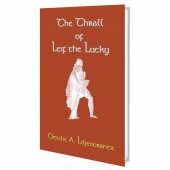 Her father Asmund, a priest of the old Norse gods, opposes the match, thinking Eric a man without prospects. But deadlier by far are the intrigues of Swanhild, Gudruda's half-sister, a sorceress, who desires Eric for herself. She persuades the chieftain Ospakar Blacktooth to woo Gudrida, making the two men enemies. Battles, intrigues, and treachery follow. From the pen of the master of Victorian action and adventure this novel actually seems rather less dated in the early 21st century than Haggard's other work or the general run of Victorian adventure fiction. 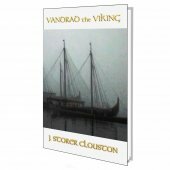 Improvements in our understanding of the Viking period have done surprisingly little to falsify Haggard's imagination of its setting, and the book should still hold appeal to any reader interested in the period. Clearly influenced of the pioneering saga translations by William Morris and Eirikr Magnusson in the late 1860s ERIC BRIGHTEYES set a standard of quality and fidelity to the saga style that remained unmatched until Poul Anderson's novel The Broken Sword 60 years later. 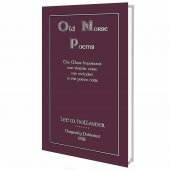 33% of the publishers profit from the sale of this book will be donated to UNICEF. "Lo!" cried Gizur, "yon outlawed hound still lives! Now I will do a needful task and make an end of him, and so shall Ospakar's sword come back to Ospakar's son." "Thou art wondrous brave now that the bear lies dying!" said Swanhild.  Now it seemed that Eric heard the words, for suddenly his might came back to him, and he staggered to his knees and thence to his feet. Then, as folk fall from him, with all his strength he whirls Whitefire round his head till it shines like a wheel of fire. "Thy service is done and thou art clean of Gudruda's bloodgo back to those who forged thee!" Brighteyes cries, and casts Whitefire from him towards the gulf. Away speeds the great blade, flashing like lightning through the rays of the setting sun, and behold! as men watch it is gonegone in mid-air! Since that day no such sword as Whitefire has been known in Iceland. "Now slay thou me, Gizur," says the dying Eric. "Swordless I slew thy father!swordless, shieldless, and wounded to the death I will yet slay thee, Gizur the Murderer!" and with a loud cry he staggered towards him. 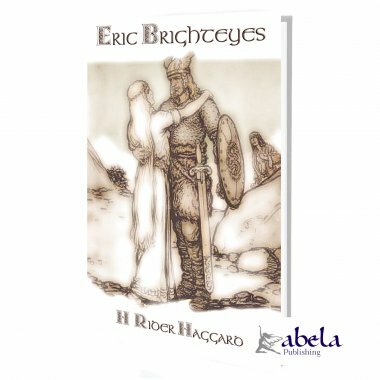 Gizur smites him with his sword, but Eric does not stay, and while men wait and wonder, Brighteyes sweeps him into his great armsay, sweeps him up, lifts him from the ground and reels on. Eric reels on to the brink of the gulf. Gizur sees his purpose, struggles and shrieks aloud. But the strength of the dying Eric is more than the strength of Gizur. Now Brighteyes stands on the dizzy edge and the light of the passing sun flames about his head. And now, bearing Gizur with him, he hurls himself out into the gulf, and lo! the sun sinks! "Nobly done, Eric! nobly done! So I would have seen thee die who of all men wast the first!" 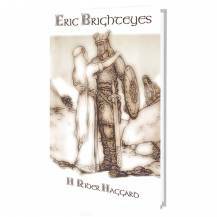 This then was the end of Eric Brighteyes the Unlucky, who of all warriors that have lived in Iceland was the mightiest, the goodliest, and the best beloved of women and of those who clung to him.